This step by step diy woodworking project is about coat rack plans. If you want to learn more about building a simple coat rack with storage for your entryway, we recommend you to pay attention to the instructions described in the article. Check out the rest of the woodworking projects, as there are many plans to choose from and many ideas to use for your home. Before starting the actual construction project, we recommend you to plan everything, as to save money and to keep the costs under control. Adjust the size and the design of the hall coat rack to suit your needs. In addition, we recommend you to invest in high-quality materials, such as pine, redwood or cedar, as they have a nice finish and are highly durable, especially in a humid environment. The first step of the woodworking project is to build the sides for the coat rack. 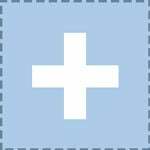 Therefore, you need to mark the cut lines on the 3/4″ plywood sheet and get the job done with a jigsaw. Smooth the cut edges with fine-grit sandpaper and remove the residues with a damp cloth. The next step if to attach the back to the sides of the coat rack. In order to get a professional result, we recommend you to drill pocket holes along the sides of the back. Align the edges with great care and insert 1 1/4″ screws to secure the components tightly. Add glue to the joints and remove the excess with a damp cloth. Make sure the corners are square before inserting the screws. Continue the project by fitting the middle shelf to the structure, as described in the diagram. Cut the shelf out of 3/4″ plywood and drill pocket holes at both ends. Fit the shelf into place and secure it to the sides using 1 1/4″ screws. Add glue to the joints and use a spirit level to check if it is perfectly horizontal. Fit the hooks for the cot rack and space them apart according to your needs. Choose an appropriate design for the hooks that matches the style of your home. One of the last steps if to attach a 2 1/4″ wide piece of plywood to the top of the coat rack, in order to create another storage shelf. Align the edges with great care and secure the component to the structure by using brad nails and glue. Smart Tip: Apply several coats of stain or paint to the wooden components, if you want to protect them from decay and to enhance the look of the wood coat rack. 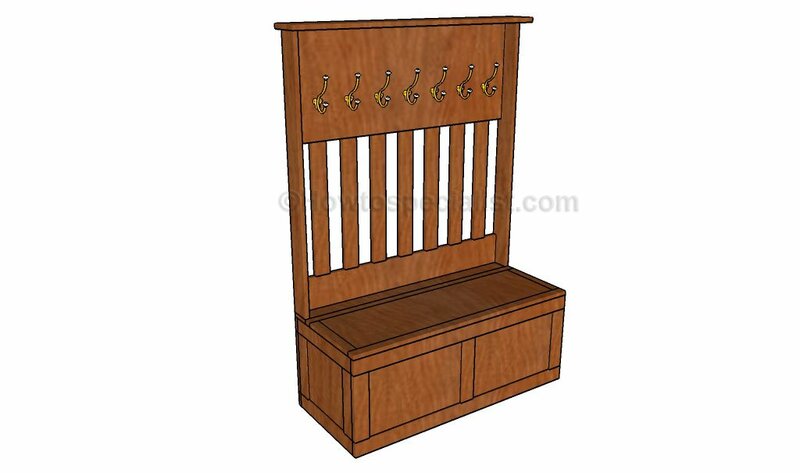 Thank you for reading our project about coat rack plans and we recommend you to check out the rest of the projects. Don’t forget to share our projects with your friends and LIKE us, by using the social media widgets. SUBSCRIBE if you want to be the first that gets our latest articles.